Gujarat’s new multi-venue destination for sports, entertainment and leisure. Located in the heart of Ahmedabad, The Arena is a sprawling 1.3 million sq.ft. 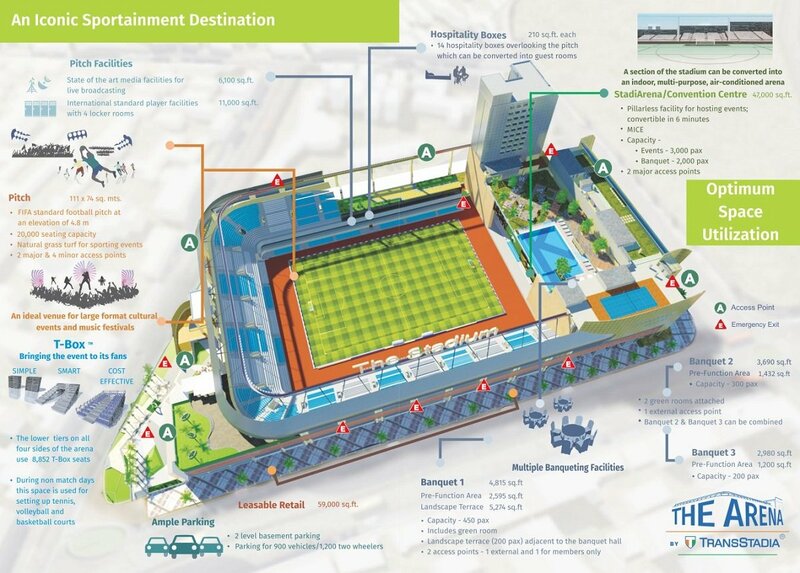 sportainment venue with socially sound and technologically innovative infrastructure. A hallmark of sustainable and ergonomic design, it can host world-class personal, corporate and ticketed entertainment events across its multiple venues. The Arena kick started its operations by hosting the Kabaddi World Cup 2016, with all the matches taking place within the StadiArena.